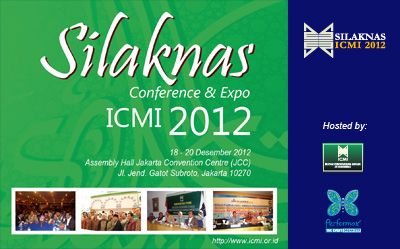 Dengan perkembangan globalisasi perdagangan dan informasi, menempatkan ICMI lewat program programnya semakin strategis di dalam membangun kedamaian berbasis iman dan taqwa dan produktivitas berbasis ilmu pengetahuan dan teknologi di seluruh Indonesia. 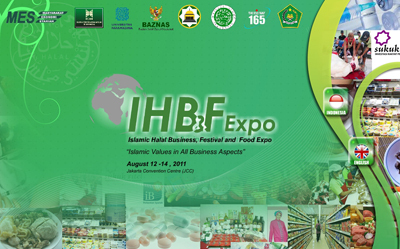 The 3rd Islamic Halal Business, Festival & Food Expo, "paradigm of int’l halal business” not only exhibitions and business promotion of halal products, but as a center of information and promoting halal products Indonesia. 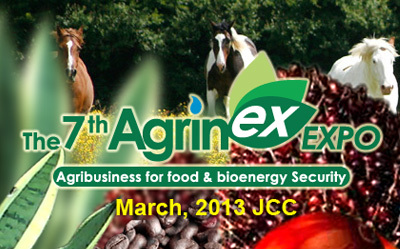 This exhibition is also part of the company producing the product to clean up the community effort to make their product development and marketing organization and maximize the role of halal certification..
Join Our AGRINEX EXPO !! 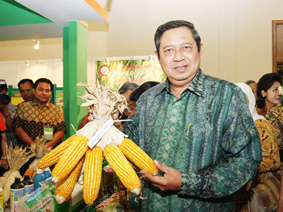 Agribusiness expo is prestigious place which participated by International Agriculture goverment, national goverment, national and international company, state own company, university, food, beverage and energy industry, small medium enterprises, banking, exporting & importir company, research and development, and other related sector. 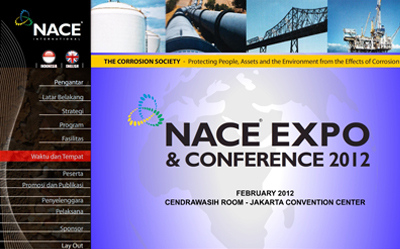 NACE is an international organization which is gathering Corrosion experts engineers. NACE established in 1943 by 11 engineers from Corrosion expert pipe industry. After more than 60 years of experience in developing corrosion prevention, NACE becomes the world's largest organizations in the field of corrosion. Currently, a member of NACE have exceeded the number 25,000 members in over 100 countries. NACE through its engineers have contributed in every area and industry in the world specialized in the field of corrosion prevention and control of chemical processes and water systems up to the protection of infrastructure and transportation. 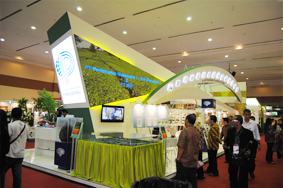 NACE Indonesia felt, it was time for industries producing products, user and expert engineers corrosion in Indonesia appear to the surface occurs for a common vision about the importance of prevention and protection against corrosion for efficiency and a cheaper cost in the industrial sector.